Is ‘The Flash’ season 5 gearing up for Cisco’s exit? 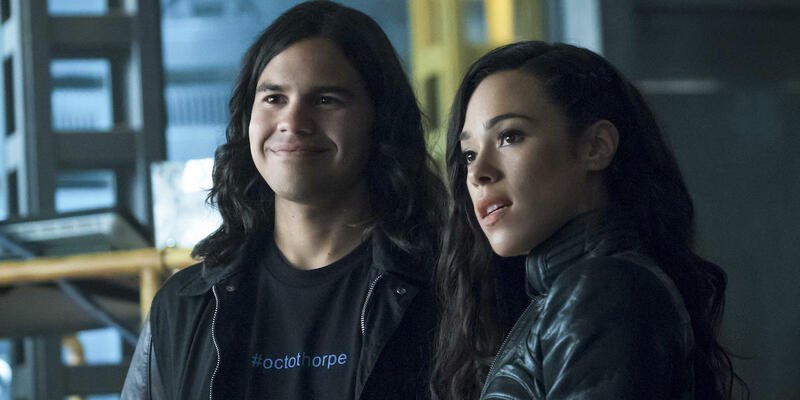 Cisco Ramon has been an iconic member of Team Flash, though The Flash season 5 seems to be building up for his ultimate exit from the team (and, possibly, the show). Could Flash go on Cisco-less? The battle against Cicada has been fraught for Team Flash, as this is a foe unlike any they have ever faced before. Thanks to DeVoe’s satellite, meta-tech has spread across Central City, infecting various objects with abilities that no mere mortal should be equipped with. In a battle with Cicada, Cisco was stabbed in the hands by the dagger, which rendered his powers all but useless as they posed a serious threat to his life (and often caused nosebleeds). The cause of this was revealed on The Flash season 5, episode 10, “The Flash & The Furious,” in which Caitlin was finally able to remove the remaining shards of the dagger from Cisco’s hands, and what they uncovered was… startling. The dark matter from the dagger had been subtly removing his meta-human genes and abilities. Cisco, for lack of another phrase, was being cured by Cicada, inadvertently. Out of all of the characters, there had to be a reason the writers chose to “infect” Cisco with this dark matter instead of another character. Cisco has been a constant since The Flash series premiere, and out of Team Flash, he has arguably received the most time on-screen. His powers manifested in the worst way, leading to his death at Thawne’s hands, though he has since gained control and has been the multi-verse transporter for Barry and co. over the years. 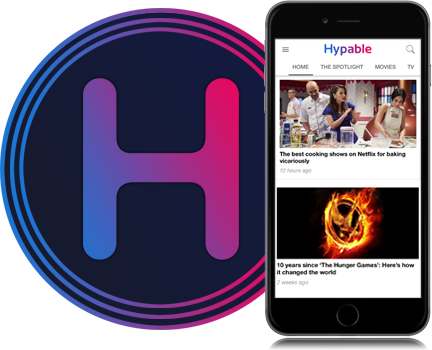 Now that the team has discovered a way to create a device that can also transport them through dimensions, Cisco’s relevance in the field has been diminished. Additionally, the lack of supporting powers in season 5 has been delightful. 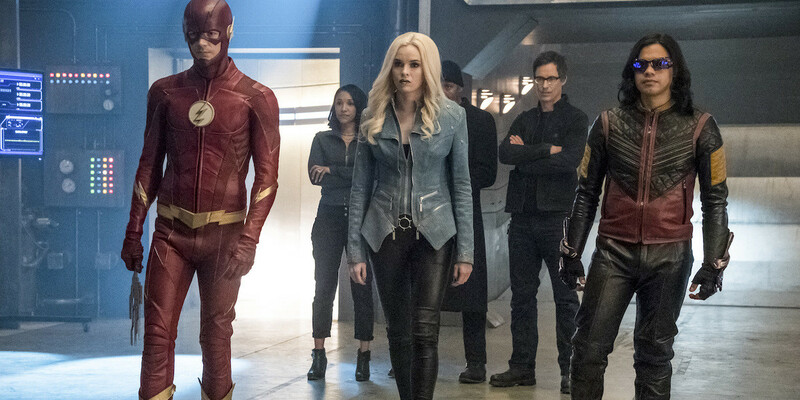 Barry and Nora have a chance to show off their speedster skills, which is what the show has been about, while Caitlin and Killer Frost are finally receiving some focus on their story. On the latest episode, Cisco expressed that he felt better than ever after not being able to use his powers for the last few weeks, due to his crumbling meta-human DNA. So, with the knowledge of what Cicada’s dark matter does, Cisco started working on a cure. It’s surprising that the series waited five seasons before truly delving into what it means to unexpectedly become a meta-human, especially when these powers aren’t what you want. The story of Caitlin and Killer Frost slightly touched on this, but it was her other personality that was the focus of Caitlin’s disdain for her powers, not the abilities on their own. Cisco’s facing the reality that his powers come with consequences, both in the short and long term. Cisco has to be so careful in the present day as part of Team Flash, and he has to be much more aware to danger than Barry because time doesn’t slow down for him. Cisco’s powers and presence on Team Flash have also greatly impacted his personal life. His relationship with Gypsy was a bust, and he had to turn down a powerful role on another Earth because of his responsibility on Earth-1. Cisco’s brother is dead because of Barry’s trip to Flashpoint, even if Cisco no longer holds that over his head. Cisco, as he stated on The Flash season 5 episode 11, wants a wife and kids. He wants a normal life; a life which he will never have as long as his powers make him a threat (and he’s on Barry’s team). It’s a brutal reality, but it is quite important for one of the Arrow-verse shows to just have a character say, “This life isn’t for me,” and walk away. Perhaps an earlier The Flash season 5 episode being titled “The Death of Vibe” had an alternate meaning. While Cisco faked his death in the episode and didn’t actually die, it could have meant the beginning of the end for Vibe and, thus, Cisco. As much as we love Cisco, with Cecile and Ralph being promoted to series regulars alongside the others, there’s just isn’t enough room for all of these characters on The Flash. Cisco would be greatly missed (and we’d much rather have Cisco than Ralph Dibny), but it would also be respectable if the actor wanted to pursue other projects and Cisco wanted to step away and find a life outside of his abilities and S.T.A.R. Labs. As a series continues on, some characters leave, some stay, but things always work out. The Flash is full of very intelligent characters that, while they may not have the exact same skills as Cisco, would be able to at least work to fill the void. The Flash season 5 continues Tuesdays at 8/7c.